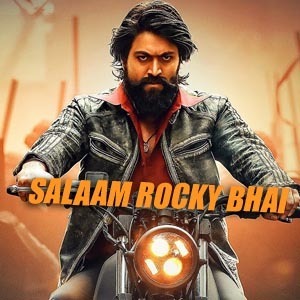 Salaam Rocky Bhai Lyrics from the movie KGF Kannada: The song is sung by Vijay Prakash, Santhosh Venki, Sachin Barsur, Puneeth Rudrang, Mohan. H Shreenivas moorthi, Vijay Aurs, Lyrics are Written by V Nagendra Prasad and the Music was composed by Ravi Barsur. Starring Yash, Srinidhi Shetty. Please mention where you have found errors. Hi!I am the biggest fan of Rocking Star Yash. He is from karnataka and my village is in karnataka Bidar district. nand haisar Lohit Ainakar addaa.